This month marks the 25th anniversary of the launch of the Nintendo Game Boy in Europe. This relatively simple 8-bit device proved to be hugely popular and the Game Boy turned out to be a game changer. The Game Boy wasn't the first hand-held gaming console, but it hit the sweet spot when it came to technical features, design, prices and software. By today's standards the Game Boy seems primitive - it had a 8-bit CPU with a 2.6" monochrome display and loaded games in with a cartridge - and even in 1990 it wasn't exactly high-tech. But the Game Boy retailed for just $90 in the US, which made it very affordable. The hardware comprised of a Sharp LR35902 processor clocked at 4.2 MHz (a sort-of-cross between an Intel 8080 and Zilog Z80), a pitiful 8Kb of RAM (plus 8Kb of video memory), a 160 x 144 pixel display that could display four shades of.. errr.. green and a slot that could take a cartridge of up to 8MB. The Game Boy had simple but elegant controls ("START", "SELECT", "A" and "B") housed in an unfussy and cleanly designed box. Power was provided by four AA batteries which could give between 15 to 30 hours play time. Perhaps the killer application that the Game Boy had was the bundled Tetris game, but there were quite a wide range of other games available too (helped by the fact that Europe had to wait a year for the Game Boy after Japan and the US). Although cartridges were relatively expensive, it was at least a simple solution. A very popular later series of games were based around Pokémon characters. 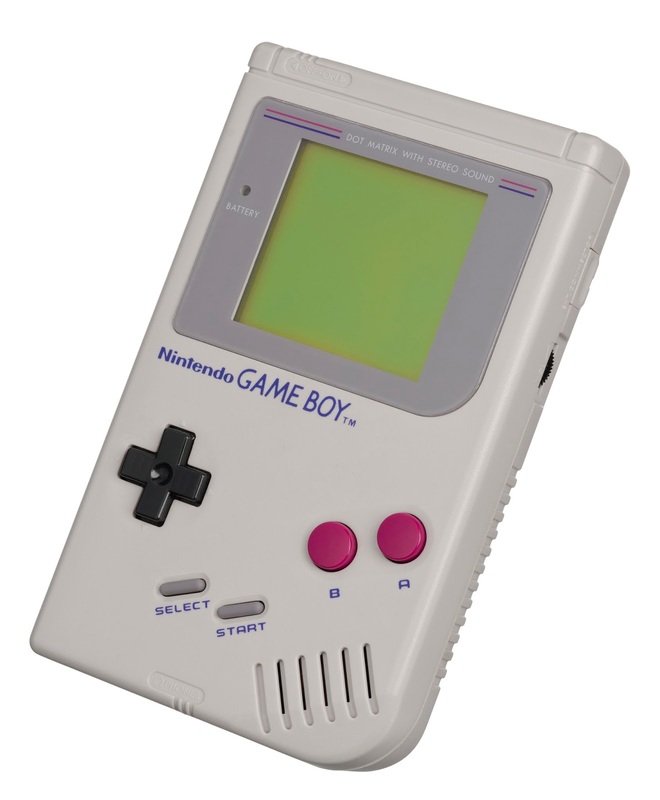 The Game Boy series continued until 2008, selling a massive 200 million units overall. Although mobile gaming would have probably happened even without the Game Boy, it is likely that this little device raised people's expectations and helped to create demand for the vibrant market that we have today. Today, an original Game Boy in working order will set you back between €35 to €70 or more depending on condition and the number of games it comes with. Thankfully, rechargeable batteries are a lot better than they were 25 years ago!